Affiliate marketing sites earn commission by promoting a business’ products and driving visitors to their site to hopefully make a purchase. But as affiliate marketing continues to proliferate online, how can you make sure your site is profitable in such a competitive space? Some of these tips are going to be universal, whereas others will only apply to certain styles of affiliate websites. None the less, there’s going to be some crossover no matter what type of site you have, so many of these tips will apply to most niches. Coupon sites: These are sites that offer coupon codes, and often try to get traffic for “brand name coupon” types of keywords. Some brands don’t really like this, since the affiliate isn’t really generating a new sale, they’re just capturing commission from someone who was already at checkout when they started searching for coupons and discount codes. Product comparison sites: This type of affiliate site is generally preferred to coupon sites by vendors, because it’s generating a sale from a customer who was in the research phrase but hadn’t yet decided on what to purchase yet. Also, they can provide value to the readers. Regardless of what type of product or service you’re promoting, creating guides about it that explain how it works and how to use it, as well as other helpful content that isn’t just trying to SELL, SELL, SELL, is a great way to build trust in your niche, and to demonstrate to your audience that you’re an expert on the topic. 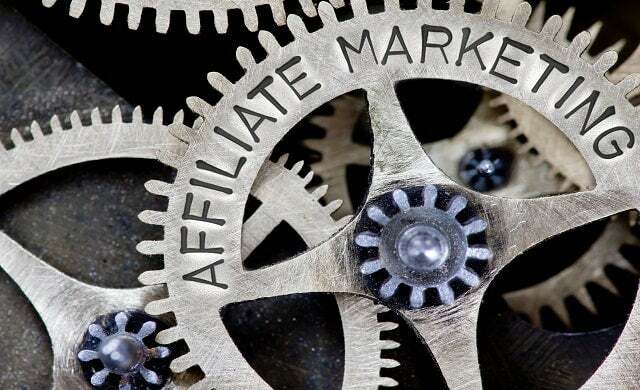 Anybody can set up a site that goes over how great their affiliate offer is, but that comes off obvious, and makes it harder for the astute visitors to trust that site if they sound too much like a salesperson. By providing a ton of value to your audience, and really digging in and showing how your product, service, or whatever you’re offering works, and also answering a ton of related questions, you’re not only going to demonstrate that you’re somebody who can be trusted on this topic, but you’re also going to bring a lot more people to your website, or to your Youtube channel, or wherever you’re creating content. You can’t only be selling anymore, because the barrier to entry keeps getting higher, and it is those who put in the effort to go above and beyond with their content that are going to rise with the tide, while the rest of their competitors sink. If there are multiple offers in your niche, it’s a good idea to split test them and see exactly which ones perform the best with your visitors. Make sure you’re opening the doors to feedback, too. You want to hear what people like or dislike about everything that you promote, or what they’re looking for. Instead of being an affiliate for venders, there’s a point where it will make more sense financially to create your own offer. Depending on your niche, this could be as simple as writing an extensive guide or ebook to sell, or it could mean contacting factories to get a product manufactured, or it could mean setting up a drop shipping relationship, or creating private label products, or any number of other options. The goal here is to take a step up the ladder. Getting buyers is the tricky part, so if you’re able to do that, you can also create your own product to sell to those buyers, instead of just being the middleman in the transaction and accepting a small piece of the pie for your work. When you own the offer, you can earn more for each sale, and you can also recruit your own affiliates who will promote your product in return for a commission, just like you used to do. Now, of course, this tip is more practical in certain niches than other ones, but at a certain point, it’s always worth exploring. Your niche undoubtedly has plenty of competitors, some are going to play fair and think about the big picture, others may have more short-sighted goals in mind and be bad actors. It’s helpful to identify the good actors in your niche and find ways to collaborate and work together that will benefit you both. Yes, you’re competing in the same niche, but why not work together with a few other people if it means you, and they, can get ahead of others? Let’s take the online gambling niche for example. For every trustworthy online casino site out there, there are a handful of sites that aren’t operating in good faith. There are honest affiliates who operate with integrity, and those who are just looking to make a quick buck regardless of whether it means being misleading, or unethical. Thankfully, there are some sites that keep track of this, and help affiliates to find honest partners to work with, and vice versa. Do you plan to create a big, popular website that will take years and years to penetrate a very difficult and lucrative niche, or are you more interested in taking the smaller micro-niche path to earn an easier piece of a smaller pie? It’s all about choosing the option that works best for you and your ambitions and situation, but it’s also important to identify this. One way to exit with a nice profit from an established affiliate site is to flip it to a buyer, so if that’s your plan, you’ll want to keep really good records of your earnings and expenses, and good documentation of the process of maintaining the site. If you plan to keep the site and just continue to grow it indefinitely, as the other side of the coin, just remember that there is a ceiling to certain niches, so if you have a website about something kind of obscure, even if you dominate the niche, it might not earn enough to live off. Having a vision, and a practical plan of action, is crucial – no matter what size your site is right now, nor how large you plan to grow it!